For a brief period of time their songs ruled the airwaves and everybody knew their name… then they disappeared into the one-hit wonder vault! ONE…and DONE! Through the years, there have been countless one-hit wonders…great songs everyone knows and loves, but the artist never seemed to achieve that huge chart success again. 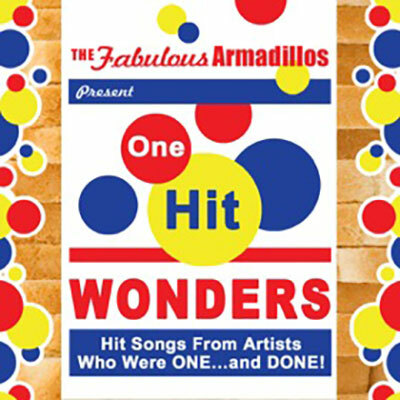 The Fabulous Armadillos have compiled a two-hour show of those great one-hit wonder memories, with their own Armadillo sense of humor thrown in, and spot-on recreations of your favorite one-hit wonders through the decades. What is your favorite one-hit wonder?